Although the arm's-length principle, which forms the basis of the framework of transfer pricing rules, has had a long international history, it was only explicitly introduced into Belgian legislation in 2004.2 The Belgian legislator used the OECD Transfer Pricing Guidelines for Multinational Enterprises and Tax Administrations Guidelines (the OECD Guidelines) and the OECD Model Tax Convention as inspiration. Belgium does not incorporate all OECD principles and guidelines into law. Nevertheless, the tax administration recognises that the latest version of the OECD Guidelines is especially relevant in practice. The tax authorities use continuously revised and updated guidelines whereby the most recent version of the OECD Guidelines was issued in 2017, including the outcomes of the final 2015 Base Erosion and Profit Shifting Reports on Actions 8–10 'Aligning transfer pricing outcomes with value creation' and on Action 13 'Transfer pricing documentation and country-by-country reporting'. The arm's-length principle is an integral part of Belgian tax legislation and applies to both legal entities and permanent establishments. In addition, Belgian law covers all types of transactions without differentiation of the nature of the transaction between associated companies, including those between two Belgian taxpayers, as Belgium in particular has no fiscal consolidation concerning direct taxes currently. Some form of fiscal consolidation will only enter into force as of fiscal year 2019.4 In practice, the tax authorities tend to focus on transactions with related foreign parties. The Belgian concepts of 'associated enterprise' and 'control' are not comparable to the terms used in the OECD Model Tax Convention and must be explained by Belgian company law. The definition of associated enterprise in the EU Arbitration Convention requires direct or indirect participation in the management, control or capital of the other enterprise. Control can be described as a power to decide or to have a decisive influence on the appointment of the majority of the directors or managers, or the course of corporate policy, whether legally or factually. Further, reference should also be made to Belgian company law5 and case law for more guidance on the notion of 'control' and other concepts, such as 'parent company', 'subsidiary', 'consortium' and 'affiliated enterprise'. In addition to Article 185, Section 2 ITC and the recently enacted transfer pricing documentation6 rules, other articles of the ITC7 are relevant when making transfer pricing analysis in Belgium. Reference can be made to Article 26 ITC dealing with the possibility of the Belgian tax administration to add abnormal or gratuitous advantages granted to an individual or enterprise located in Belgium or abroad to the taxpayer's tax base. Article 49 ITC sets general rules for tax deduction of expenses. These rules require, inter alia, that the expenses relate to the taxpayer's activity and that they are incurred in order to maintain or increase taxable income. Articles 54 to 56 ITC contain specific rules for tax deduction of interest, royalties and some other fees. Article 79 and 207 ITC together form a specific anti-abuse provision preventing that 'abnormal or gratuitous advantages' obtained can be offset against certain tax deductions (e.g., carried-forward tax losses). High court case law has confirmed that the non-arm's length advantage received has to be subject to Belgian corporate income tax in any event.8 This rule may result in double taxation, both in Belgium or internationally. Other resources are a Royal Decree9 and official Circulars,10 which are administrative guidelines issued by the Belgian tax administration. Such guidelines are not, however, considered a binding source of tax law. Belgium has introduced specific transfer pricing documentation requirements applicable as of 1 January 2016.11 The Programme Law, which introduced these documentation requirements, includes a three-tiered approach, allegedly (according to the lawmakers) aligned with the OECD BEPS Action 13 Final Report, consisting of a Master File Form (Form 275MF), a Local File Form (Form 275LF) and country-by-country reporting. This section will only deal with Form 275MF and Form 275LF, particularly focusing on the latter as it is to be considered an integral part of a company's tax return. an annual average number of employees of 100 full-time equivalents. Hence, the evaluation of surpassing the statutory thresholds and submission of Form 275MF and Form 275LF is an annual exercise. The content of Form 275MF is similar to the content requirements of the OECD. The Belgian legislator has indicated in additional communication that the form can be filed by referencing to a separate Group Master File to be attached to Form 275MF. Form 275MF is not part of a company's tax return, but it should be filed to the Belgian tax authorities no later than 12 months after the last day of the reporting period concerned for the respective group. Form 275LF is considered an integral part of the tax return and, consequently, has a different filing due date than Form 275MF. The Belgian legislator says to follow the OECD three-tiered approach with regard to documentation requirements, notwithstanding the content of Form 275LF, which deviates significantly from the content requirements of the local file under the OECD Guidelines. In particular, Form 275LF consists of three parts: two mandatory (Parts A and B), and one optional (part C). key data, such as identification of the entity's ultimate parent entity. In the optional Part C, the taxpayer may add any information that 'may be useful', such as transfer pricing studies. Looking forward, the benefits of Part C should become apparent in evaluating the level of documentation to be added by a taxpayer, as the requirements currently in place (e.g., completing lists of tables) do not provide sufficient room for the correct amount of 'storytelling', which is a key item in the revised OECD Guidelines. The Belgian legislator does not include specific provisions in tax law as regards the use of transfer pricing methods. As mentioned, Belgium follows the OECD Guidelines and, as a consequence, the five transfer pricing methods as described in these OECD Guidelines (comparable uncontrolled price (CUP) method; resale price method; cost-plus method; transactional net margin method (TNMM); and transactional profit split method) are accepted in Belgium. For the selection of the most appropriate transfer pricing method, no hierarchy is in place; however, in alignment with the OECD Guidelines, there is preference for the selection of traditional transaction methods given that they are regarded as the most direct means of establishing whether conditions in the commercial and financial relations between associated enterprises are at arm's length. The CUP method is the most preferred method where it can be applied in a reliable manner, but based on experience, the TNMM is used in many cases since it often proves to be the only method applicable in practice. This is also accepted by the tax authorities, in particular for tangible goods and services transactions. The tax authorities accept both internal and external comparables provided the degree of comparability can be proven. During a transfer pricing audit, tax inspectors will typically ask for a benchmarking study as underlying support for the compliance with the arm's-length principle; consequently, comparables are of great importance in Belgium. There is no specific preference to have local comparables; pan-European benchmarking studies are commonly used, even by the tax authorities themselves, who do perform benchmarking studies during an audit to support their position. The importance of business sense or economic justification in supporting adjustments made to comparables cannot be underestimated, as the tax authorities are open to enter into these discussions to evaluate the appropriateness of the reasons invoked by the taxpayer. The Belgian tax authorities are increasingly interested in global tax transparency as it would create more opportunities for easy access to relevant information owing to the successful exchange of information between various jurisdictions and the availability of information as included in country-by-country reporting, which is mandatory in Belgium for multinational group companies with consolidated annual group turnover equal to or exceeding €750 million. The impact of the huge data flow that is available at the level of the tax authorities will transpire in the coming years, but an increase in joint or multilateral transfer pricing audits can be expected. Taxpayers need to be attentive to the information requested by tax authorities, especially in relation to information for which they have no need-to-know basis, such as group information documented outside of Belgium. Tax authorities intend to request group information of a multinational group headquartered abroad or specific company information of a foreign group company that is the Belgian counterparty, for which specific procedures are in existence via the Federal Public Services Foreign Affairs, regulating the exchange of information between tax authorities. Therefore, in certain circumstances, taxpayers can refuse to provide the requested information to the tax authorities, although the impact of this on the relationship between taxpayer and tax authorities will come under scrutiny. Further, tax authorities mainly use publicly available information. In addition, they can visit the premises of a company under audit. During this visit, tax authorities have access to the premises and the companies' information within the boundaries of what is reasonable. Taxpayers cannot be forced to hand over all information; nevertheless, they should think twice as it could affect the relationship with tax inspectors. Likewise, during their visit, tax authorities might have interest in interviewing employees of the targeted company. This may contribute to a better understanding of its business including the relevant functions performed, assets used and risks assumed. There is, however, no obligation for a company to cooperate with such interviews. Last, based on Belgian tax law,14 witnesses can be heard. 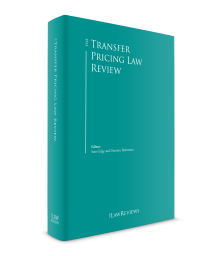 Although hearing witnesses is not common practice in transfer pricing cases, it is possible from a legal perspective. Neither Belgian tax law nor administrative guidelines include specific provisions with regard to dealing with intangibles from a transfer pricing perspective. Nevertheless, the DEMPE15 functions, as recently introduced by the OECD in the framework of BEPS, are taking precedence when establishing and evaluating the correct transfer price to be applied, especially given that Belgium closely follows the OECD Guidelines. Therefore, it is highly recommended that taxpayers ensure a transfer pricing set-up with regard to intangibles in accordance with the DEMPE functions. Consequently, purely having the legal ownership of an intangible without being the economic owner significantly involved in the DEMPE functions, will entitle the legal owner only to a relative small (passive) return. The economic owner, having sufficient substance to demonstrate it is actively involved in the DEMPE functions, will be entitled to intangible-related (non-routine) returns. Settlements outside of a formal advance pricing agreement (APA) procedure with the tax authorities are not commonly used, except during transfer pricing audits as the majority of the audits are closed with a settlement between the local tax inspector and the targeted taxpayer. A typical transfer pricing investigation in Belgium starts with a written request for information (RFI) issued by the tax authorities, often by the special transfer pricing team (STPT), consisting of subject matter specialists since 2006. This RFI, consisting of a standard questionnaire, is sent annually to approximately 250 multinational companies, mostly in the first months of each year. To select companies, the Belgian tax authorities perform data-mining techniques and software tools to fulfil a risk-assessment exercise. It is observed that companies incurring structural losses, undergoing business restructurings, having presence in tax havens or low-tax-rate countries, or companies with declining results are potential targets. Nevertheless, all companies might be subject to receive a RFI, going from large multinational companies to small and medium-sized enterprises. The likelihood of being selected as a targeted company increases each year given that the STPT is growing by hiring additional inspectors. Further, inspectors of the Large Companies17 team will be responsible for both transfer pricing and international tax audits. The STPT trained them in order to get up to speed on transfer pricing-related issues. Finally, the Special Investigation Squad (BBI/ISI) has also been trained by the STPT to cover transfer pricing-related matters. Going forward, the selection of companies as a target for a transfer pricing audit will remain based on data-mining techniques and software tools. It is, however, expected that this selection process will be further fine-tuned as a consequence of the transfer pricing documentation requirements given the access of the tax authorities to information contained in Form 275MF, CbCR and most notably in Form 275LF being based on the standard questionnaire. The RFI should generally be replied to within one month. In practice, taxpayers can formally request extension of this period if they are able to provide legitimate reasons for the non-timely provision of the requested information. Normally, an extension of maximum one additional month is granted; however, no formal timing is included in Belgian tax law on this matter, therefore taxpayers should count on the willingness of the tax inspector. Before formally submitting the requested information, taxpayers can request a pre-audit meeting with the inspector to define and discuss the scope of the transfer pricing audit. Based on past experience, this pre-audit meeting gives an interesting opportunity for taxpayers to set the scene of the audit and to provide an oral presentation of the company and its business. This may help the inspector with interpreting the written reply to the RFI. This pre-audit meeting should take place within the initial term of one month (or the extended period) as it does not suspend this term. The next step is the notice of adjustment sent to the taxpayer when considered necessary by the tax authorities after in-depth investigation of the targeted company. Such notice amends the taxable basis as declared in the tax return.19 The taxpayer then has one month to react to this notice of adjustment, and extension of that term can be applied if there are legitimate reasons. The final standpoint of the inspectors is made available in the final assessment including the justification on the inspectors' opinion, taking into account the relevant comments of the taxpayer. Thereafter, the taxpayer has six months to start an administrative claim by lodging an appeal with the General Advisor of Taxes. The decision of the General Advisor of Taxes, explaining sufficient and sound reasons for the taxation, is addressed to the taxpayer. Notwithstanding the fact that the taxpayer has a strict time limit to lodge the appeal, again, the General Advisor of Taxes is not bound by any time limit. This may cause uncertainty at the level of the taxpayer. In order to avoid further delay, the taxpayer can start a judicial procedure before the Court of First Instance after a six-month term passed without final decision of the General Advisor of Taxes. This step then renders the General Advisor of Taxes no longer competent to decide and submits the case to the opinion of a judge. There are no specific litigation procedures in place for transfer pricing issues. The general judicial procedures existing in Belgium are available if taxpayers disagree with the decision of the tax authorities. Hence, a dispute can be brought before the Court of First Instance examining the merits of the case, for which the taxpayer has three months. Appeal against this decision can be made to the Court of Appeal within one month from the notification of the contested decision. Appeals against judgments of the Court of Appeal are brought before the Supreme Court, which does not evaluate the substance of the case but is limited to the evaluation of questions of law and procedural questions (i.e., whether the law has been applied correctly). The Supreme Court can refer the case again to a competent Court of Appeal that then re-examines the merits of the case. In contrast, when the Supreme Court is of the opinion that the law has been applied correctly, the judgment under review becomes final and binding for all parties involved. Belgium does not have a long history of transfer pricing in its tax law and, therefore, existing court decisions on this subject are rather scarce. In the majority of cases, transfer pricing audits are closed by an agreement. The Belgian tax authorities cannot impose secondary adjustments, as no such provisions are included in Belgian tax law. Hence, transfer pricing adjustments only affect items actually included in the tax return; no deemed transactions in the form of constructive dividends, constructive equity contributions or constructive loans that might trigger that secondary adjustment can be made. Therefore, in case there is an adjustment requiring an increase or decrease, a Belgian taxpayer may have to consider certain payments as non-deductible expenses or adjust the position of the taxable reserves. Except for non-compliance with statutory transfer pricing documentation requirements, Belgian tax law does not include specific penalty provisions with regard to transfer pricing. Transfer pricing adjustments imposed by the Belgian tax authorities fall under the general tax penalty framework applicable in case of any violation of the provisions of the ITC. Consequently, additional taxes might be applied by the tax authorities in the form of a penalty generally ranging from 10 per cent to 50 per cent, and even an increase to 200 per cent in exceptional cases of fraud, repeated infringement, etc., depending on the degree of intent to avoid tax or the degree of the company's bad faith. Further, for late payments, interest is due on additional tax assessments (including assessments resulting from a transfer pricing adjustment). Penalties are not tax-deductible. Recently, a new measure was introduced as part of the Belgian corporate tax reform. As of financial year 2018, the tax supplements imposed by tax authorities after an audit will be effectively taxed, since the increase of the taxable basis linked to an audit can no longer be sheltered with available tax deductions (e.g., current year losses). This rule applies if a tax increase of at least 10 per cent is effectively applied. However, current-year dividend-received deduction on inbound dividends can still be offset against the increase of the taxable basis. As a rule, statutes of limitation for tax matters last three years. In the case of fraud, this term is extended to seven years. Belgium does not have a diverted profits tax in its legislation. Notwithstanding this, the recent introduction of controlled foreign company (CFC) provisions in Article 185/2 ITC increases the focus on substance as one of the criteria to determine the application of CFC are relevant key functions. There is no doubt that transfer pricing adjustments can trigger double taxation in the case of an upward adjustment. Belgian taxpayers facing the issue of double taxation can invoke double tax treaties (DTT), which have been concluded by the Belgian tax authorities with its counterparties explicitly for the avoidance of double taxation. Most of the DTTs entail a mutual agreement procedure (MAP), whereby the treaty partners are encouraged to endeavour to resolve the case by mutual agreement by entering into negotiations with the respective competent authorities. Despite the efforts to which both treaty partners are encouraged, there is no obligation in the majority of DTTs to come to an agreement effectively eliminating double taxation. Some of the DTTs (although more often in exceptional cases notwithstanding the model tax convention of Belgium) include an arbitration clause in cases of disagreement between the competent authorities of the treaty partners, whereby a final and binding decision is being taken by an independent arbiter to eliminate the double taxation. For EU Member States, such arbitration resolution mechanism is regulated in the EU Arbitration Convention, whereby taxpayers can impose the opinion of an independent advisory body that is binding for the competent authorities of the treaty partners. Despite transfer pricing being related to direct taxation and value added tax (VAT), and custom duties are categorised as indirect taxation, it should be clear that they are inherently linked to each other, especially in the framework of transfer pricing adjustments. Overall, VAT and customs duties are based on the consideration (i.e., price that is paid) for the supply of goods or services. First, the determination of the correct consideration from a VAT and customs perspective is not necessarily in accordance with how, from a transfer pricing perspective, an arm's-length price would have been established. Second, if transfer pricing adjustments are performed, for example, quarterly or annually, impacting the price of goods or services or create a separate supply of services in itself, VAT and customs duties consequences cannot be ignored with regard to these adjustments and action should be taken. It is recommended that Belgian taxpayers, when planning to perform transfer pricing adjustments, consider upfront the impact on their VAT and customs duties to avoid difficult discussions with the VAT and customs tax authorities, as these issues are gaining increasing attention from the Belgian tax authorities. The key outlook for future transfer pricing concerns the significantly increased focus of the Belgian tax authorities on: the access to a huge data flow from the exchange of information with foreign jurisdictions and statutory documentation requirements; the additional number of trained members of the STPT; the involvement of the large companies' team to perform tax and transfer pricing audits; and the training of the Special Investigation Squad. In respect of the latter, it is therefore crucial to not consider as a (tax-) juridical or economic issue, but consider from the outlook one's optimal legal-economic position in an integrated manner. Further, substance will become of incremental importance when evaluating transfer pricing and the alignment with the arm's-length principle based on, for example, the DEMPE functions as introduced by the OECD, and the CFC provisions with regard to key functions. Belgian taxpayers are therefore urged to put transfer pricing high on their agenda. 1 Nico Demeyere is a counsel at Tiberghien Lawyers and Heleen Van Baelen is a manager at T/A Economics. 2 Article 185, Section 2 ICT, introduced by Article 2 – 21 June 2004; Law amending the Belgian Income Tax Code 1992 and the Law of 24 December 2002 amending the system for companies with regard to income taxes and instituting a system of advance decisions on tax matters, Belgian Official Gazette 9 July 2004 (ed. 1); Parl. St. Chamber, 2003–2004, 1079/1. 3 Article 4 of the Programme Law dd. 17 December 2017 containing various fiscal provisions, Belgian Official Gazette, 22 December 2017. 4 Fiscal consolidation in Belgium is similar to a Scandinavian consolidation model whereby each group member retains its own taxable basis, but can contribute to the losses of other group members. 5 Articles 11–14 Belgian Company law. 7 These Articles were already included in the Belgian ITC before the arm's-length principle itself was included in 2004. 9 Royal Decree dd. 10 August 2009. 10 Circulaire nr. AFZ/98-0003 dd. 28.06.1999; Circulaire nr. AFZ/INTERN.IB/98-0170 dd. 07.07.2000 (and addendum AFZ 6/2003 dd. 25.03.2003); Circulaire nr. Ci.RH.421/580.456 (AOIF 40/2006), dd. 14 November 2006. 11 Programme law dd. 1 July 2016, Belgian Official Gazette 4 July 2016 incorporating Articles 321/1–321/7 ITC; Royal Decrees dd. 28 October 2016 with regard to CbCR, Local File and Master File; Circulaire 2017/C/56 concerning the additional declaration obligations with regard to transfer pricing. 12 Reference has to be made to gross revenues. 13 The Part B questions are mandatory as of 1 January 2017. 15 Development, enhancement, maintenance, protection and exploitation. 16 For more information on the procedures of obtaining an advance decision in Belgium, see: www.ruling.be. 17 A company is considered a large company, and thus falling under the competence of the Large Companies team, when exceeding at least two of the following thresholds: annual average full-time equivalents of 50; annual turnover, excluding VAT, of €9 million; or balance sheet total exceeding €4.5 million. 18 Article 354, Paragraph 1 ICT – the period during which the tax authorities are authorised to perform a tax audit and adjust the taxable basis is three years – with the exception in case of fraud, where the statute of limitations is extended to seven years – starting from the first day of the assessment year, at least for companies whose financial year correspond to the calendar year. 20 Ex officio assessment is made by the tax authorities based on the estimated amount of taxable income. The tax authorities estimate the taxable income based on information available to them. It is the taxpayer's responsibility to prove otherwise if they do not agree with the ex officio assessment.